Many people are concerned about getting enough exercise during the winter. Even though it’s cold outside, there are a number of ways to have fun and stay physically active. To stay healthy throughout the year, don’t let the weather hold you back. Patients who experience good health have found a number of ways to stay active regardless of temperature. You can too. Get a jump-start on spring-cleaning! Mop the floors, organize the kitchen, and clean out old clothes. Any cleaning that needs to be done around the house is a good way to keep you from sitting in front of the TV. You are bound to find yourself sitting on the couch and watching TV. Use this to your advantage! During the commercials perform jumping jacks, squats, push-ups, crunches, or high knees. 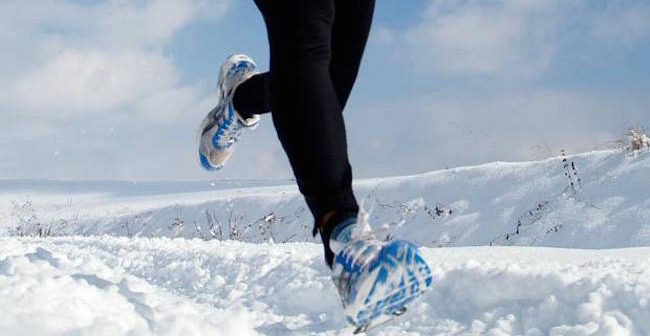 There are many outdoor activities to do during the winter that are fun and calorie burning! Find a big hill to take the kids sledding. Walking up the hill is sure to get your heart rate up! This is the perfect opportunity to challenge yourself! Group fitness classes are great for overall fitness. You will sweat, get your heart rate up and feel better than ever. Go for walks at your local mall. Meet up with a friend or family member and start walking. Try to walk for 20 – 30 minutes without stopping. Use a pedometer, fitness app, or Fitbit to count your steps. This will help motivate you to walk more. 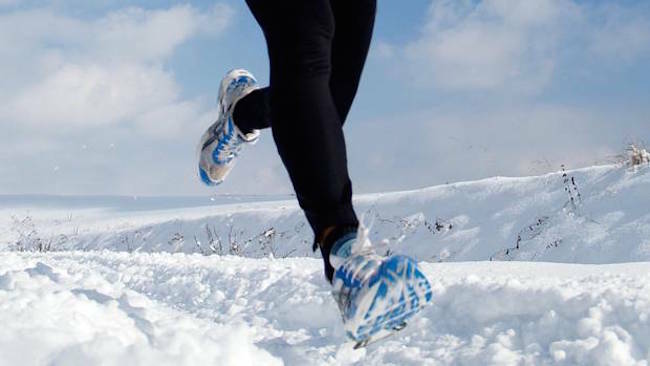 Sure, getting to the gym can be more of a hassle when it is cold outside, but never use snowy weather as an excuse to miss your daily exercise. Instead, work out at home, where’s it’s cozy and warm. Whether you pop in a new workout DVD, invest in a few pieces of fitness equipment or even just use your body weight for a killer workout, exercising at home can be a convenient (and fun!) solution to staying on track. And the best part about working out from your own home? You don’t have to worry about sharing a TV with fellow gym goers or possibly catching an illness at the gym. Home really is where the (healthy) heart is. Reward yourself for being active. Set short and long term goals, and plan a “reward” for achieving that goal. Help someone else get started in active living. Ask a neighbour if they would join you for a walk. If all active seniors helped one inactive senior get started, about 80% of all older Canadians would be in great shape!. Swimming is one of the best ways for the elderly to stay active as it is not hard on joints. Many senior residences have an indoor pool, and the convenience of not having to leave the building makes it easier to exercise. However, these pools are often unsupervised and it can be dangerous to swim alone. Posting a note in the pool area and lobby may help to find a fellow resident looking for a swim buddy. Another option is to check with your local community center to find out about senior aqua-fit classes and free swim hours.